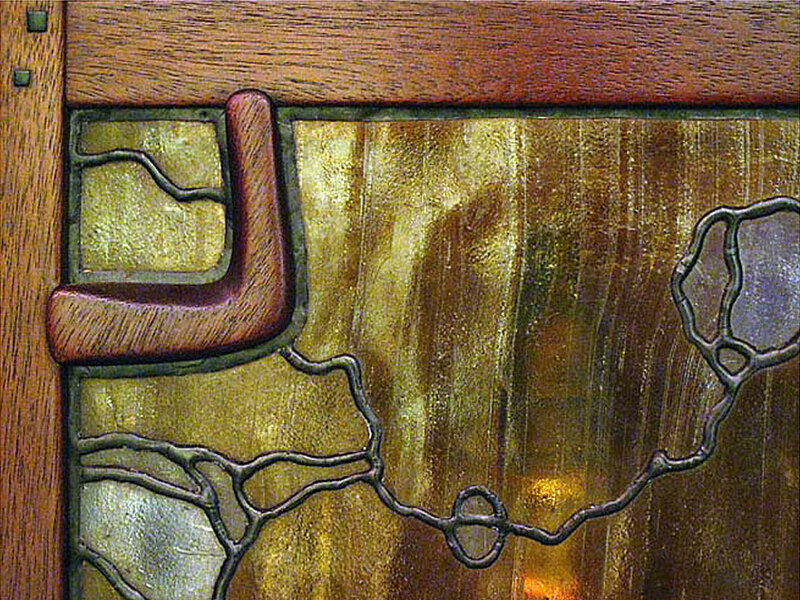 Greene & Greene design for the Gamble House, Pasadena, California. 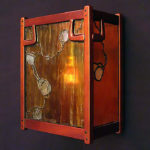 Shade with floral motif leaded glass panels suspended by leather straps. 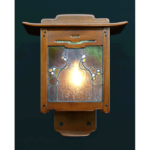 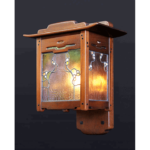 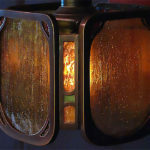 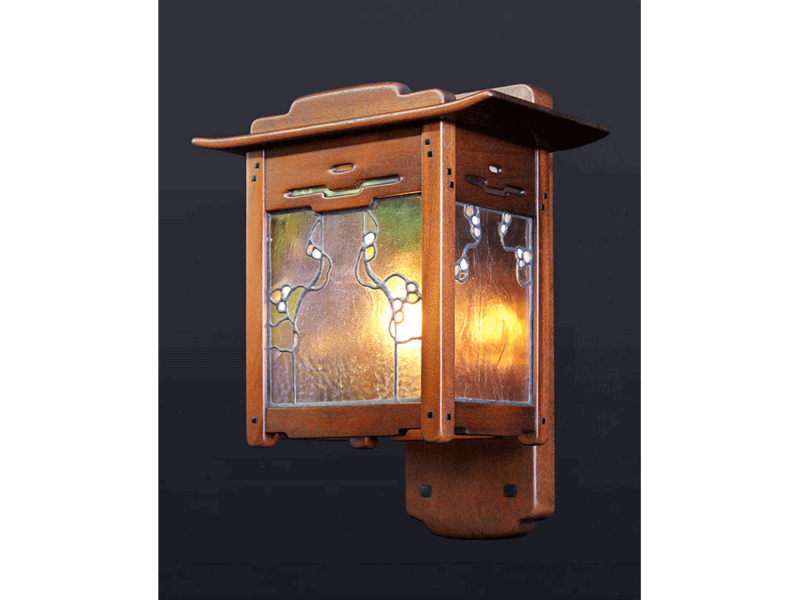 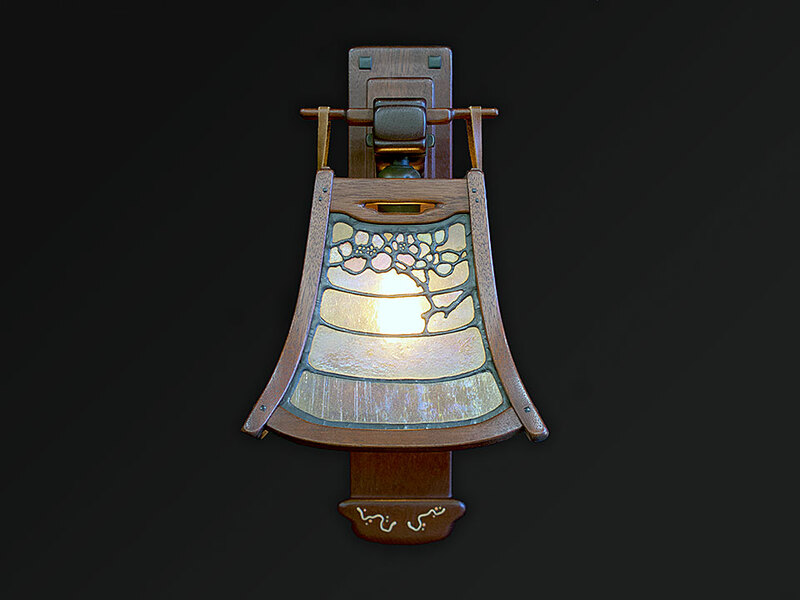 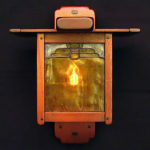 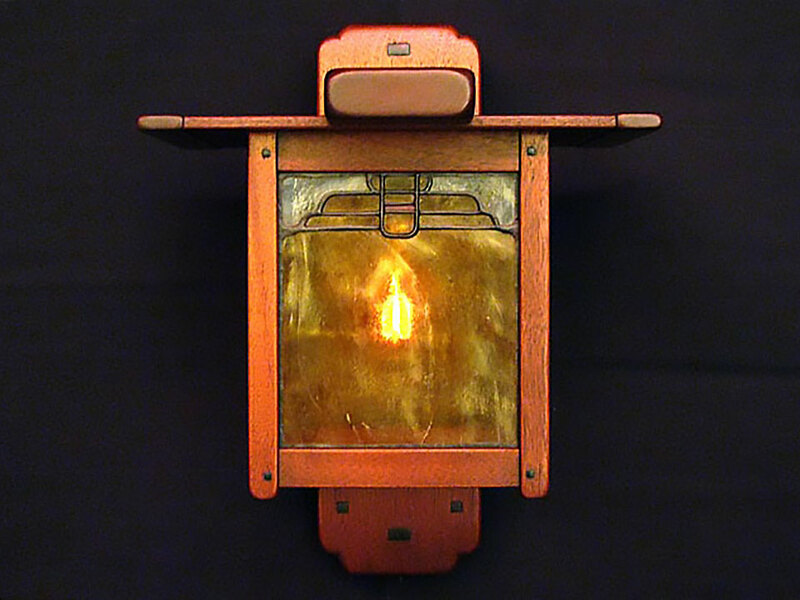 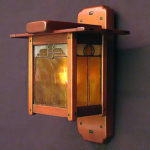 13" H x 8" W x 10" D.
GAMBLE BEDROOM SCONCE - Side View. 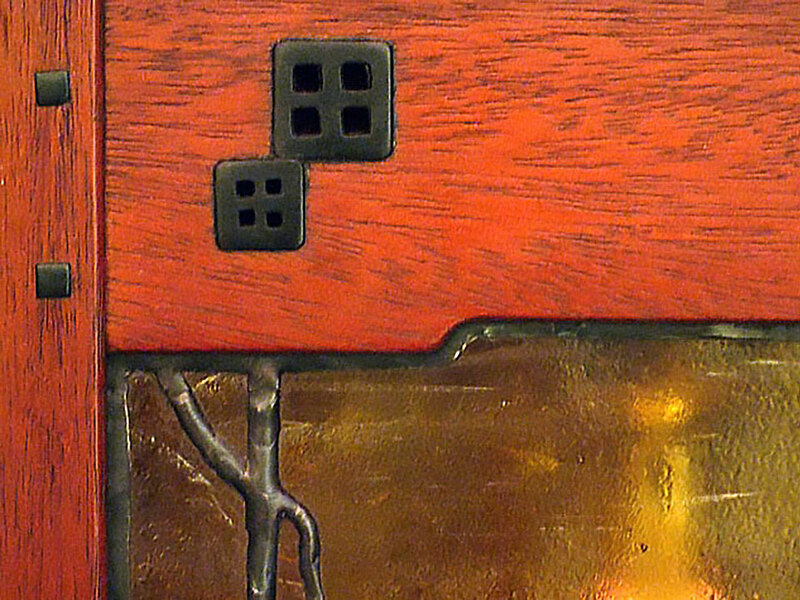 Greene & Greene design for the Gamble House, Pasadena, California. 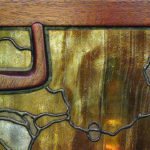 Leaded glass panels with wandering vine motif. 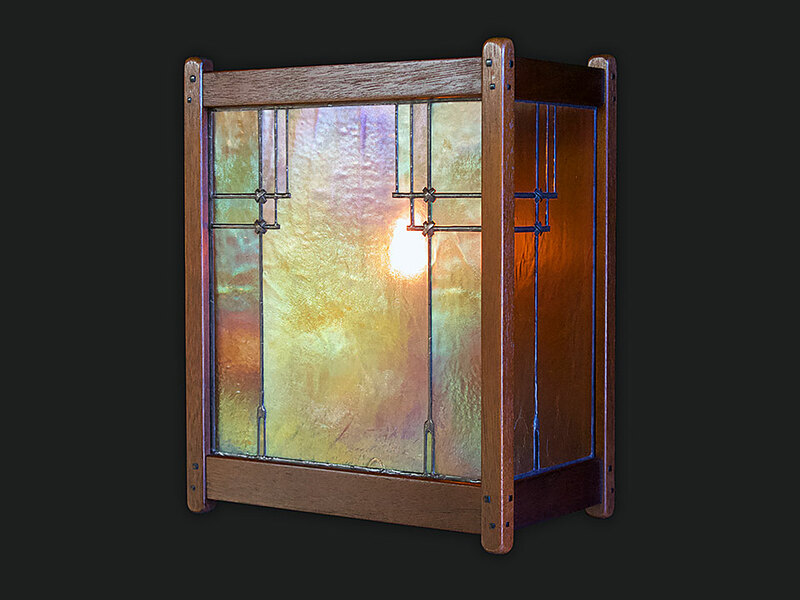 15" H x 11 1/2" W x 9" D.
Greene & Greene design for the Blacker House, Pasadena, California. 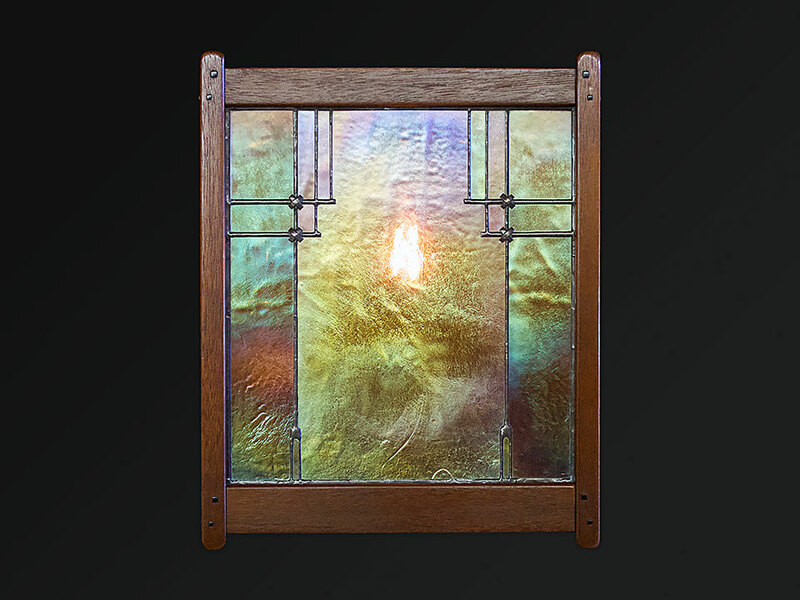 Leaded glass panels incorporate a floral design in the side panels and the cloud lift motif in the central panel. 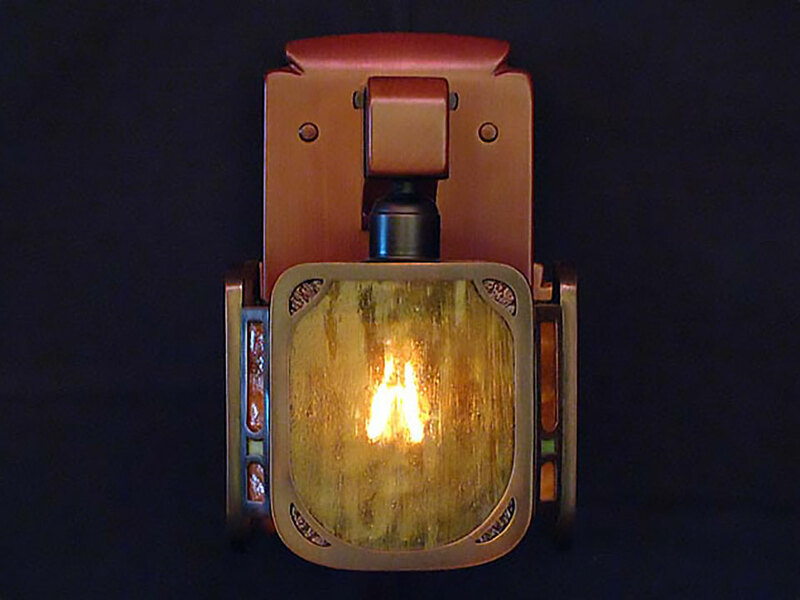 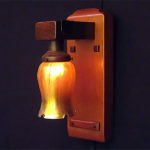 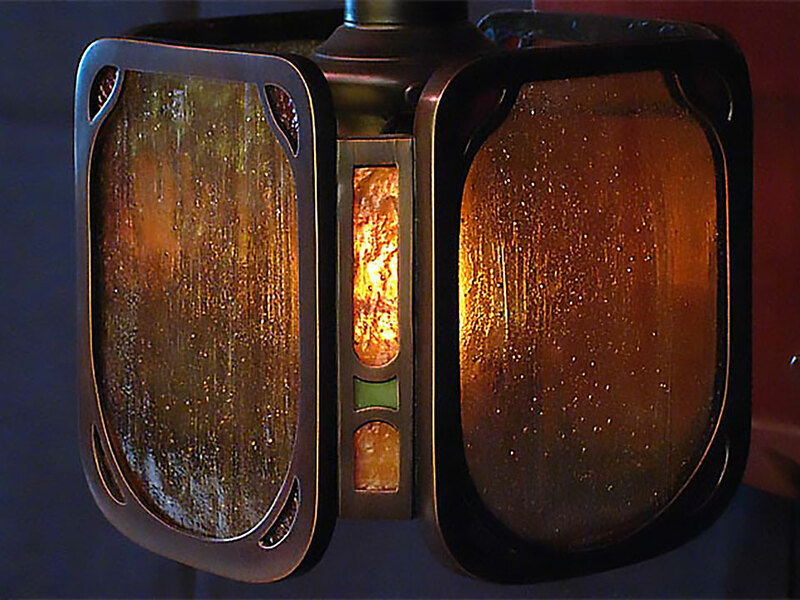 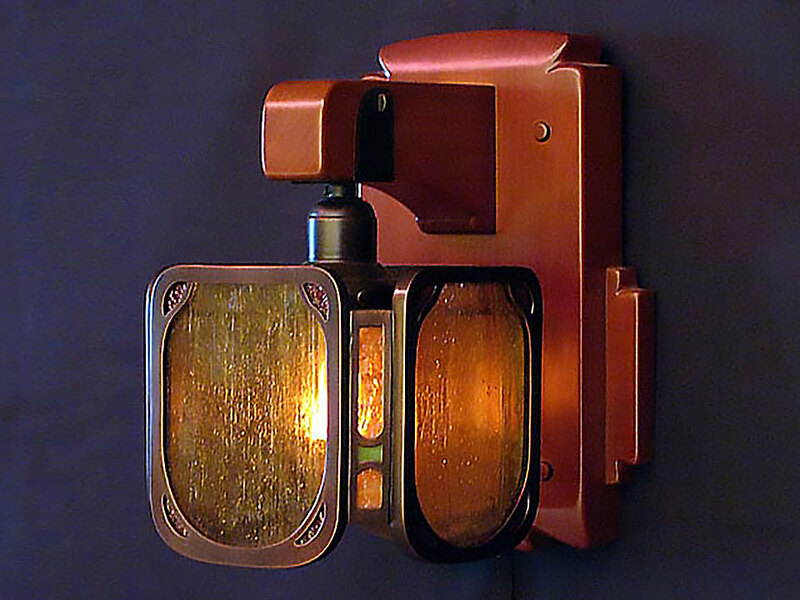 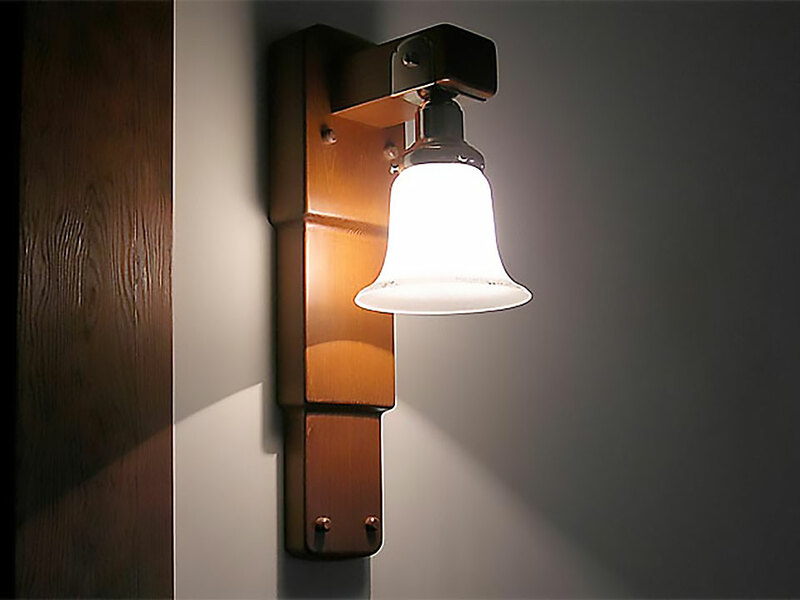 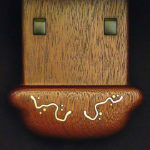 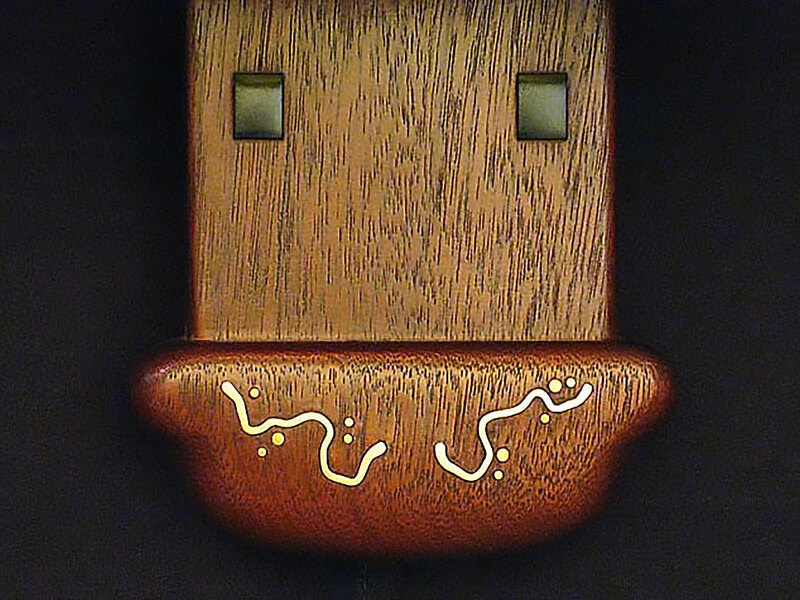 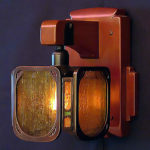 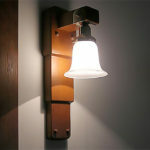 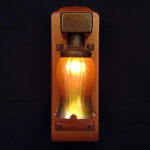 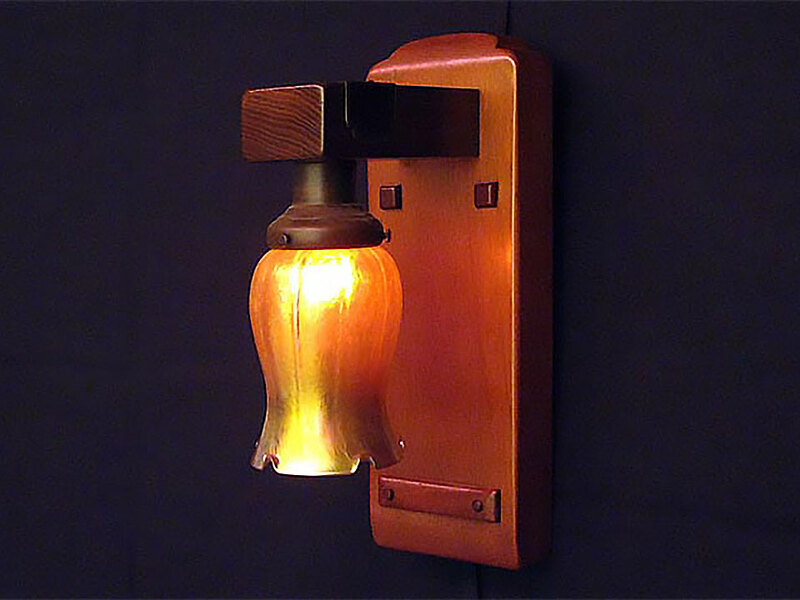 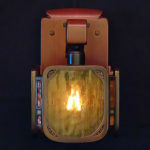 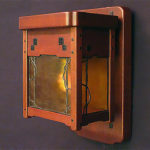 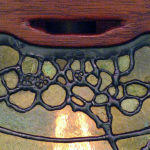 15" H x 11" W x 7" D.
BLACKER BEDROOM SCONCE - Front View. 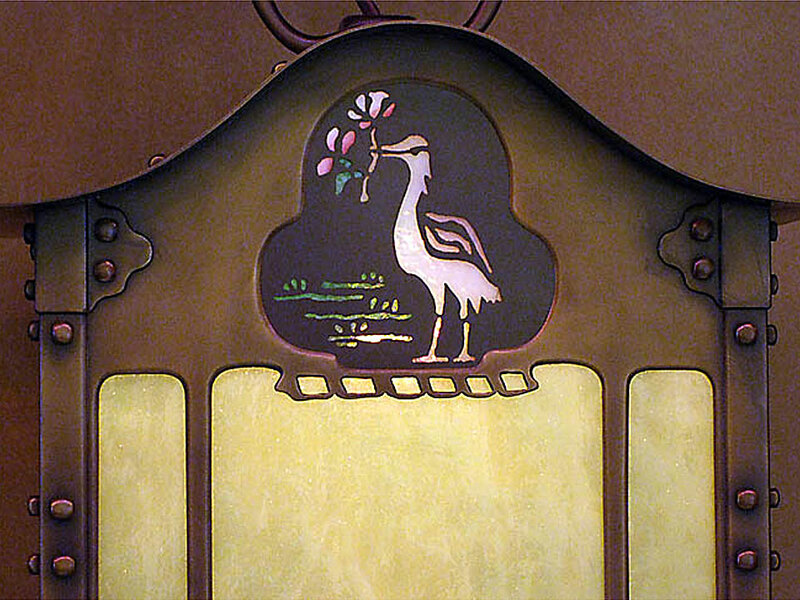 Greene & Greene design for the Ford House, Pasadena, California. 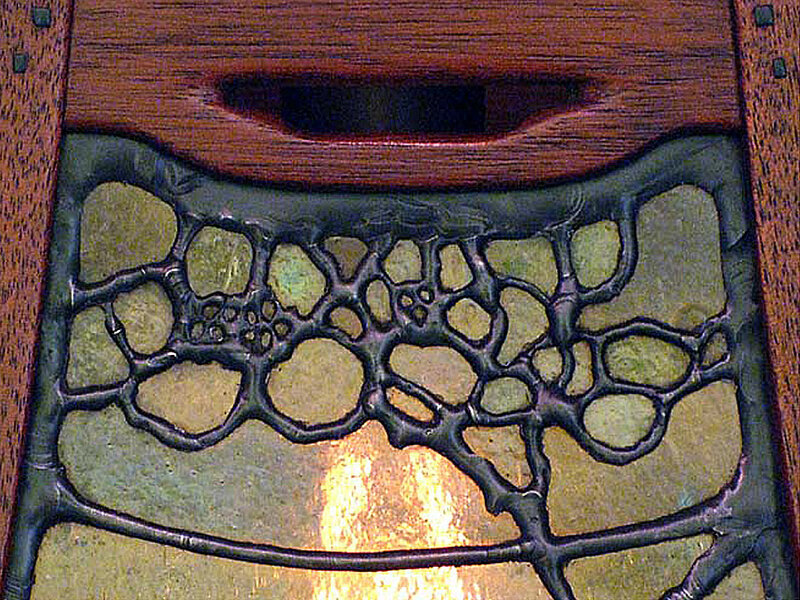 Leaded glass panels with a wandering vine motif, frame contains pierced ebony inlay detail. 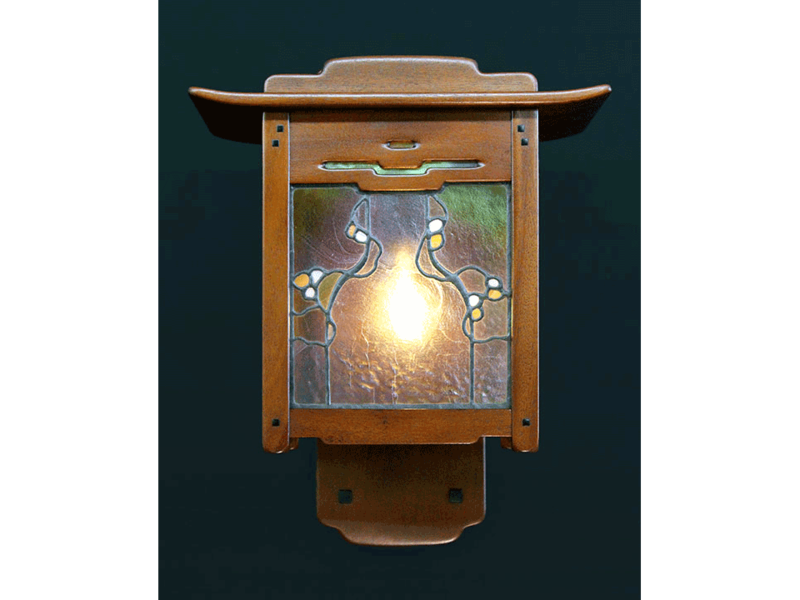 11" H x 7" W x 6" D.
Greene & Greene design for the Culbertson House, Pasadena, California. 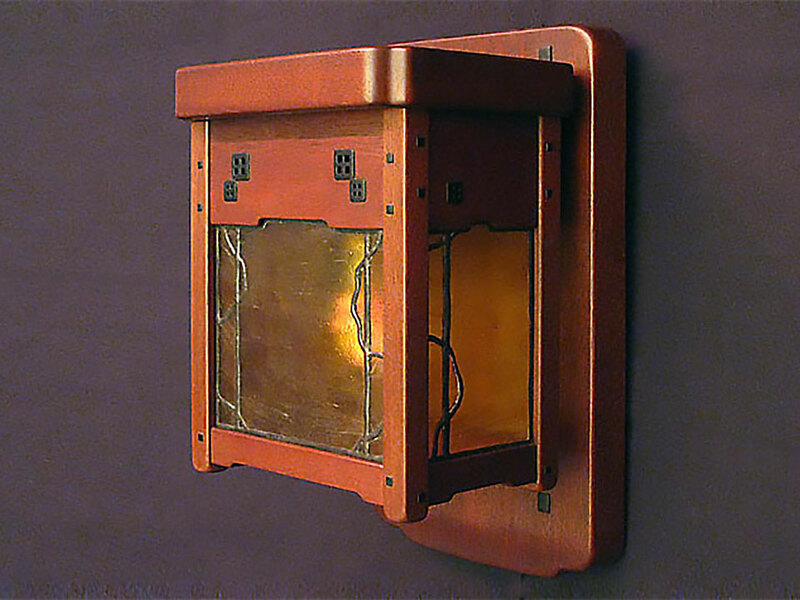 Leaded glass panels incorporate the wandering roes motif, frame contains raised corner bracket detail. 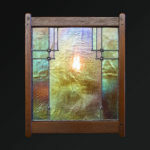 13" H x 11" W x 6" D.
Greene & Greene design for the Culbertson House, Pasadena, California. 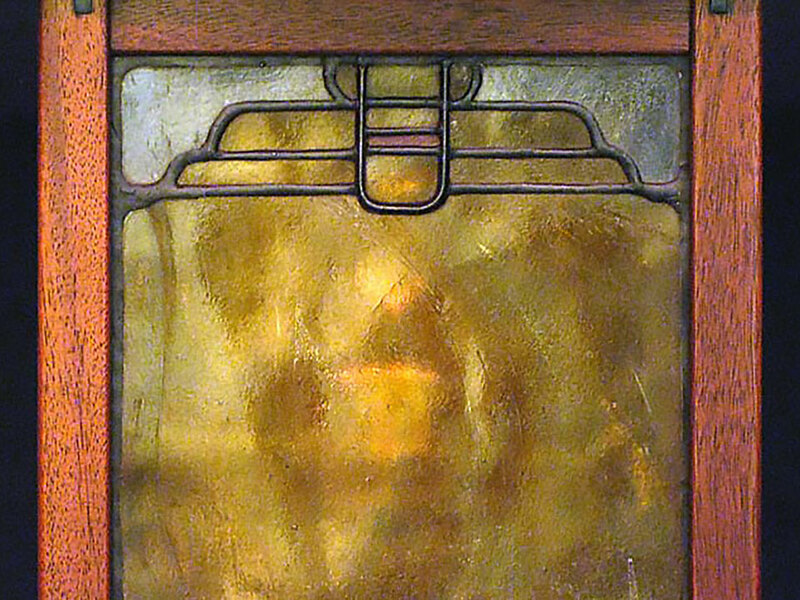 Leaded glass panels with a geometric motif. 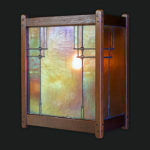 13" H x 11" W x 6" D.
Greene & Greene design for the Robinson House, Pasadena, California. 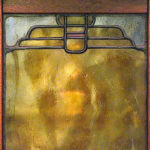 Art glass set in an antiqued brass frame. 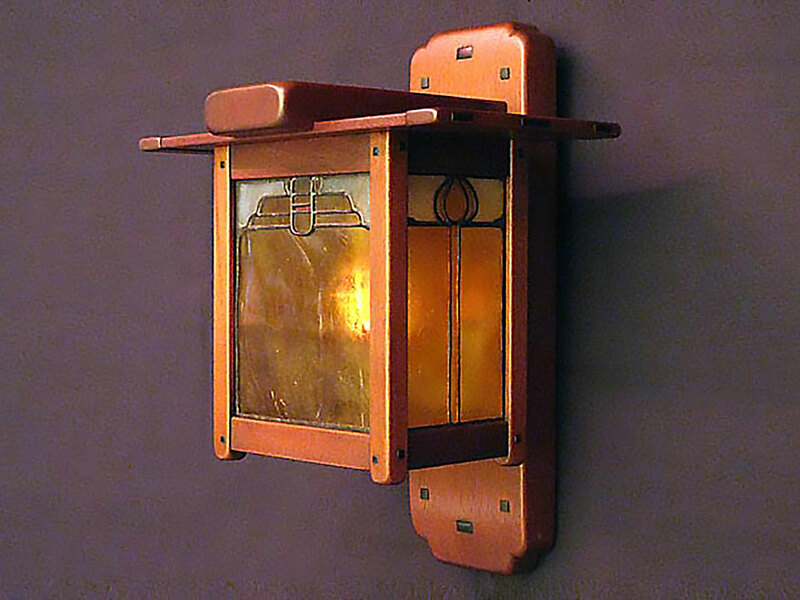 12" H x 8" W x 10" D.
Greene & Greene design for the Robinson House, Pasadena, California. 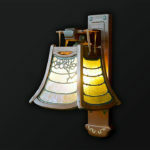 Shown with hand-blown iridescent glass shade. 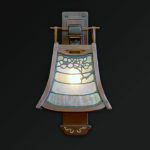 14" H x 5" W x 8" D.
Greene & Greene design for the Gamble House, Pasadena, California. 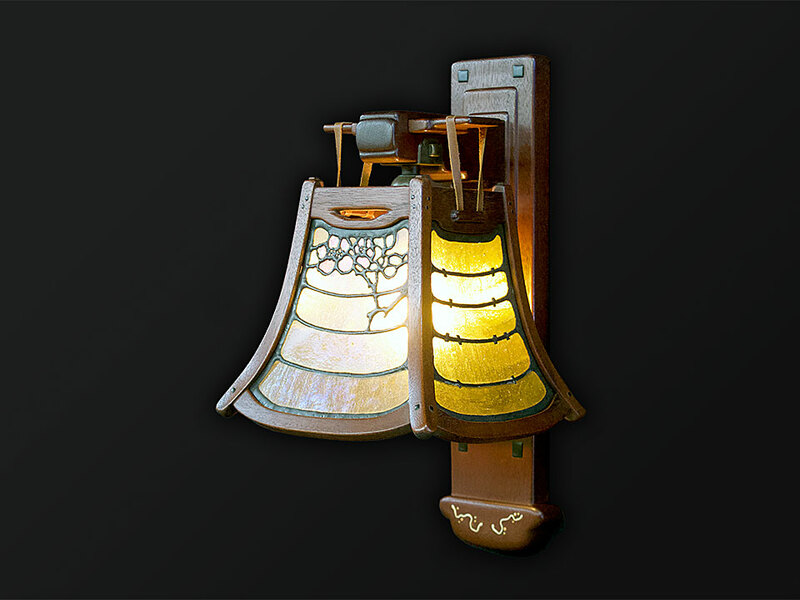 Arts & Crafts-inspired design. 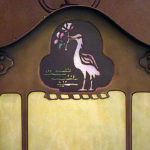 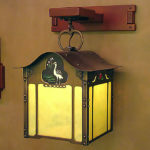 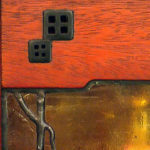 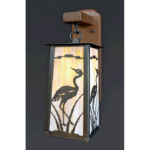 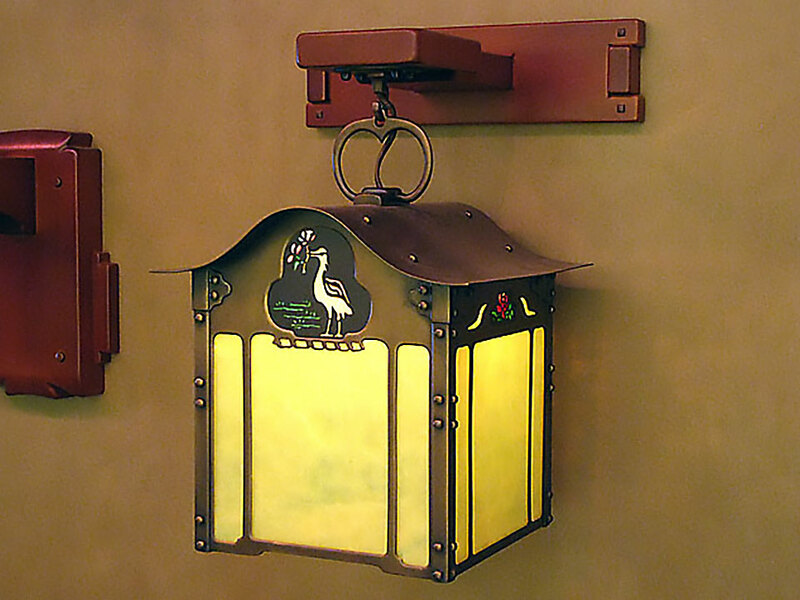 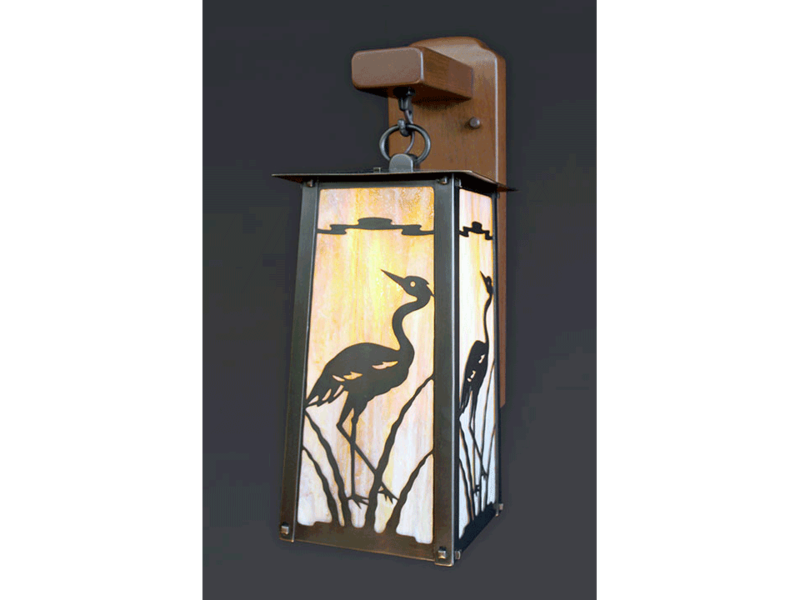 Crane in reeds design in patinaed brass frame with art glass panels. 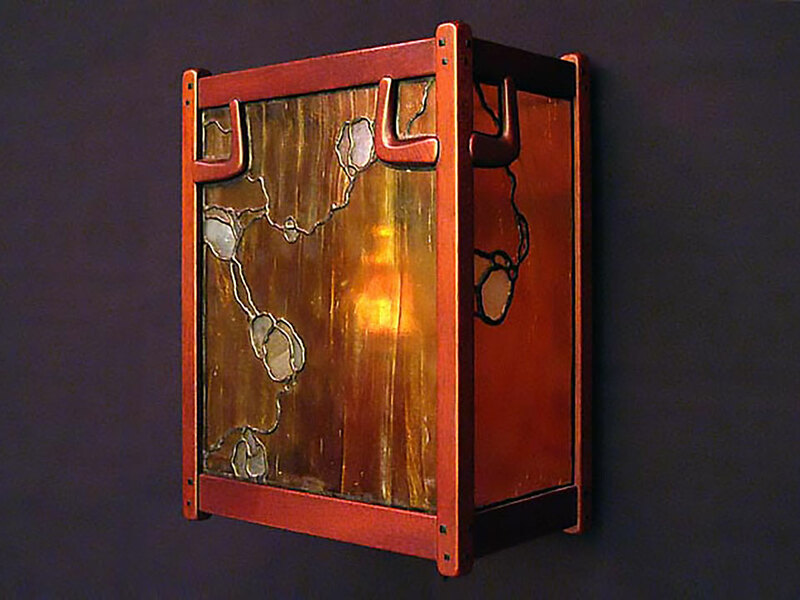 12" H x 6" W x 6" D.